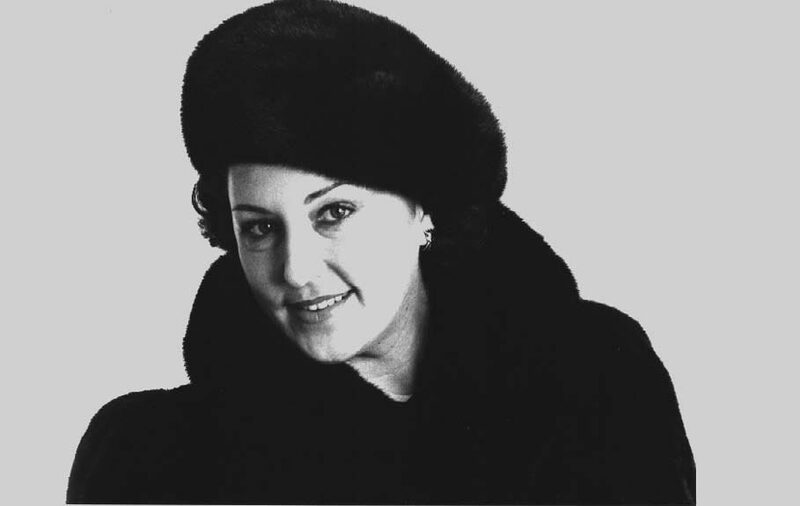 Anna Tomowa-Sintow made her long-awaited debut as "Turandot" in Puccini's opera of the same name at the Gran Teatre del Liceu in Barcelona in October 1999. Her performances were part of the opening series of "Turandot" at the newly rebuilt Liceu. The artist was frenetically applauded by the press and public alike in her most recent debut as the Chinese princess who, in this production, commits suicide at the end. Starring alongside her were Montserrat Martí, who also gave her role debut as Liù, and Boiko Zvetanov as Calaf. Bertrand de Billy, the new musical director of the Gran Teatre del Liceu, conducted the production, which was staged by Nuria Espert amidst splendid settings and costumes by Ezio Frigerio and Franca Squarciapino. "...the audience showered Anna Tomowa-Sintow with heartfelt and boisterous applause. She gave an entirely compelling account of this murderous role in her debut as Princess Turandot. ... A performance of the highest quality. " "The reception given to the production, the soloists, the orchestra and the chorus in this series could not have been more enthusiastic... Making her debut in the role of the Chinese princess, Anna Tomowa-Sintow demonstrated her habitual top-class quality with her amazingly subtle phrasing, richly varied voice color and extraordinary vocal projection... The sweetness which she also conveyed roused the audience to storms of applause." "Among the singers who have succeeded each other and have allowed us to enjoy two experienced Turandots in Puccini's opera - Giovanna Casolla and Eva Marton - , it is Anna Tomowa-Sintow's account of this role that has truly become an event: "If I can interpret Princess Turandot today, it is unquestionably to Herbert von Karajan that I owe this. It is not that the maestro would have entrusted the title role to me: he was far too concerned that I preserve my vocal qualities for the Mozart and Strauss repertoires, and I always followed his advice. But from his teachings I retained that one must begin by studying a score painstakingly before being able to let oneself go. This advice was particularly useful to me for Turandot. Since I no longer sing Mozart, I feel that this Puccini opera is no longer vocally dangerous for me. I have acquired my repertoire gradually, step by step. About ten years ago, I added Borodin's Prince Igor, then the Empress in Die Frau ohne Schatten, Strauss' Die Ägyptische Helena, Norma, Santuzza in Mascagni's Cavalleria Rusticana, Strauss' Salome (here in Barcelona during the last season) and, finally, Sieglinde in Wagner's Die Walküre. This project was born during a conversation with Bertrand de Billy, who was designated to conduct the Puccini opera for the reopening of the Liceu. 'Turandot' had been taboo for me until then. I had my doubts. But the mad desire to take part in the reopening of this increasingly renowned theater won over. " Music director Bertrand de Billy affirms: "Anna is a great professional, an artist whom I have admired for many years now, but I did not think she would dare do Turandot. When we discussed this possibility for Barcelona Anna agreed to learn this terrifying role for only three performances. I am infinitely grateful to her. In our version of the finale I know of no other interpreter who is able to respect the pianissimo nuances like her and to portray the radical shift in the character with such emotion." "The character of Turandot is connected with Asian culture and philosophy," adds Anna Tomowa-Sintow. "One must not forget the spiritual height that separates her from the masses. Turandot sings the notes like tears that flow. Moreover, before the last war, it was common to cast Turandot and Liu with the same kind of soprano voice." Would Anna Tomowa-Sintow have sung the role in a different theater? "For a debut, and in order to become familiar with the sound of a new role, the exceptional acoustics of the Liceu are a real asset. There is no echo and the voice feels free. It is strange, but I find the results more intimate than before."